Nice job! It looks like you put a lot of effort to make that biography/sculpture. 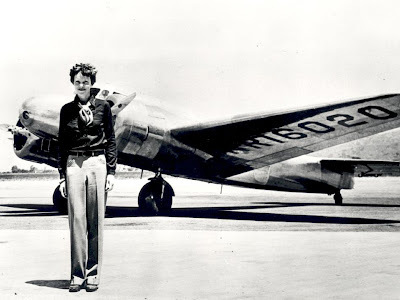 Amelia Earhart looks like quite a flier. The plane's name, that you stuck on with clay, looked very detailed. It really painted a picture of Amelia and her plane. Outstanding! You captured the essence of Amelia. She followed her dreams, and you can, too! Did you know there are two women currently rowing boats solo across different oceans? Fortunately, they have electronic devices and weather trackers to help them stay safe. They post daily blogs! I love your post it's great! I saw Amelia Earhart in a movie. Have you ever seen her in a movie too?